A wise individual once said, “There is no digital strategy any more, only strategy in a digital world” and never has a truer word been spoken. The ‘move to online’ is a dusty, tired phrase that is no longer relevant. Generation Z, Post-Millenials, whatever term you feel compelled to use, have entered or are entering the workforce having never been disconnected from the internet. In six or seven years’ time, your youngest recruits will have had their entire life from birth to graduation documented by Facebook thanks to over-zealous parents with increasingly-improving cameras on their phones (guilty as charged). First things first; it’s extremely easy to look at the younger generations as the challenging audience and to a degree, they are. They are used to news being little more than a series of headlines curated by algorithm and delivered to them at a time that their phone suggests is the most appropriate. However, older generations are discovering technology all the time and becoming equally distracted; my 66 year-old Eastender mother has her phone permanently glued to her hand with Facebook open, perusing groups about Camberwell in the 1950s or commenting on pictures of her grandchildren. You will have inevitably heard about the ‘importance of digital’ at a conference, business breakfast, etc. but the fact of the matter is, saying digital is important is as insightful as suggesting a high street shop would operate more effectively if it opened its doors. There are between four and five billion smart phones in the world (depending on your data source) so in essence, the vast majority of the world’s population has a super computer in their pocket. So yes, digital is important. However, so is context. Whilst every single business now has the potential to target the entire universe from the comfort of their office, that means very little in the grand scheme of things. It’s also important not to think of “digital” as simply “social”, as the two are very different albeit intrinsically linked. A few years ago I wrote an article about the vanity of scale and the same rules apply today. It’s very easy to build an audience across social media channels by throwing up like and share competitions but this isn’t a strategy. At least, it’s not a great strategy. It’s also getting increasingly penalised by the social media channels who are always trying to clamp down on ‘engagement bait’ to ensure their platforms present a more pleasing user experience. Social media, unsurprisingly, works best when there is a social element. Engagement is key; who is your audience, what do they like, when are they consuming your content, what are they sharing? Are you posting content because you want to, or are you posting content because your audience wants it? Are you responding to your audience feedback? You have to engage – would you walk into a room, shout something, and leave without waiting for any responses? Whilst pursuing a new, diverse online audience, don’t forget your existing clients. If you have a huge client base of repeat customers with whom you have traded for decades, nurture their needs. Talk to them in the language they understand. Be present in their publications of choice; print is not dead and is one of the most trusted mediums by all age groups for news and information in this era of data leaks and fake news. You have umpteen media channels from which to choose; broadcast media to inserts, to online ads to radio spots. A unifying campaign theme will pull it all together but the same blanket message will make it lose impact. Think about who is using each channel and consider what people are doing when they’re seeing, hearing or reading the message. Use the multitude of tools that exist to their absolute best to create a message that is in context, which people then understand and react to. In conclusion, the media landscape is constantly evolving and offering businesses an increasing number of ways to engage with an audience. Of course, this creates challenges but by listening to your audience, understanding their needs and speaking to them at the right time, the opportunities for continued growth and success are endless. Mike is an Associate Partner at Spey, the integrated communications agency based in Aberlour. Mike leads the digital arm of the business which includes social and digital, advertising and media buying services. 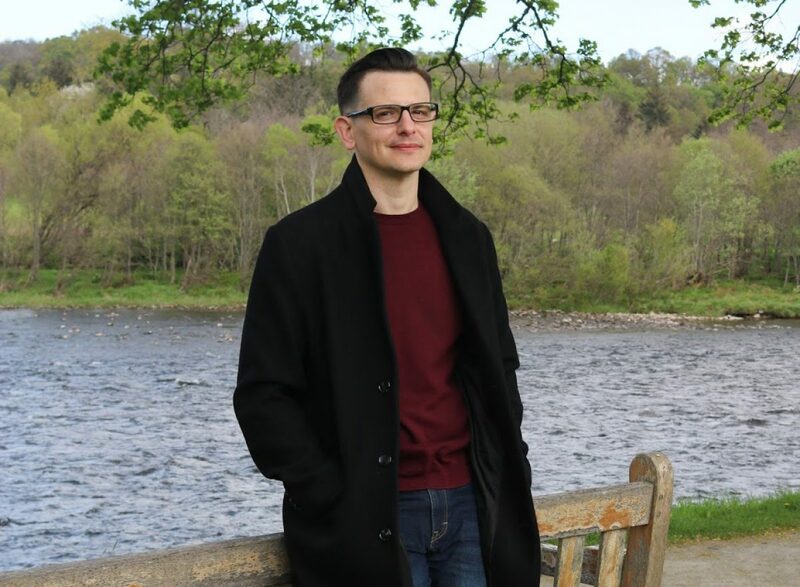 Before joining Spey Mike held various commercial positions within the industry for 15 years and most recently sat on the senior team at one of UK’s most respected media companies, DC Thomson, helping the media owner to significantly develop the online portfolio of the newspaper group. Prior to this Mike spent a decade in London working at industry leading B2B publishing houses across print publications, online-only brands and global events.